I have three thoughts on my mind that I’d like to share with you today. I trust your congregation had a wonderful Fellowship Sunday observance and celebration of MCC’s 43rd anniversary this month! What a blessing to see so many ways God has blessed and guided Metropolitan Community Churches since that very first service with 12 worshippers in Rev. Troy Perry’s home on 6 October 1968! By their very nature, anniversaries are times of thankfulness. I am so thankful today that God has called us to minister together as colleagues in this amazing, world-wide ministry that is touching lives in 40 countries around the globe. I love hearing the many ways our Pacesetter churches observed Fellowship Sunday this year! If you haven’t already done so already, I’d love for you to write to me and let me know how your church celebrated. What was memorable or unique? 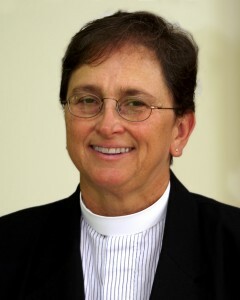 Did you have special music or testimonies? How did you receive your Fellowship Sunday Offering? 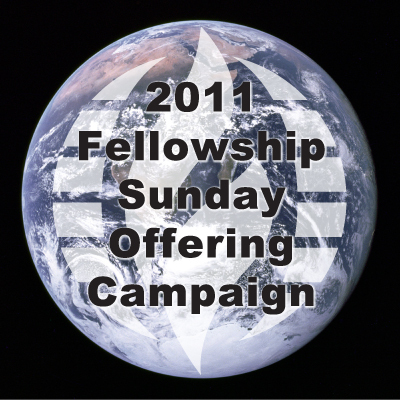 Were you able to use the Fellowship Sunday Offering resources? I encourage you to take a few minutes to write and share your church’s anniversary experiences with me. I want to express my heartfelt gratitude to your church for being a MCC Pacesetter Church and for participating in the 2011 Fellowship Sunday Offering Campaign! Please convey my deep appreciation to your congregation for their investment in MCC’s future and in MCC’s growing, emerging international ministry. Thanks to the generosity of Fellowship Sunday Pacesetter Churches, the MCC International Task Force will be able to hold face-to-face meetings to complete their vital work, and I believe their work will lead to strategies and systems that will strengthen MCC’s global ministry for decades to come. As we begin our 44th year of MCC ministry, let me say again how honored I am to serve as Moderator of Metropolitan Community Churches and how pleased I am that we are colleagues in this incredible ministry to which God has called us. Please know that you and your church continue to be in my prayers, and I, in turn, welcome your prayers for God’s blessing and guidance. We are on our way to our goal of $25,000 USD. It’s not too late to donate, if you or your church has not participated yet. Send in your Fellowship Sunday offering with your tithe payment and make a note to let us know how much is designated for this offering. Click the link below to make a donation online.